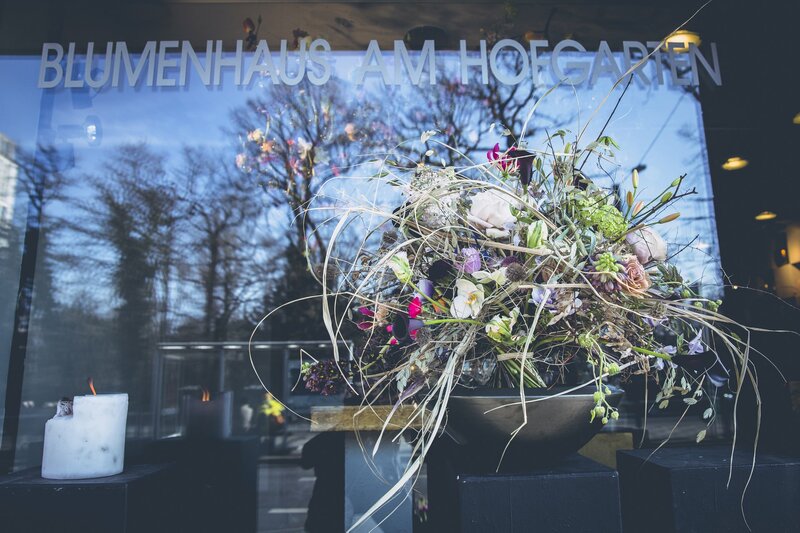 A colourful sea of flowers immediately brings a smile to the neighbourhood of the Flower House at the Hofgarten. Susanne Schmitt's floral poetry shows craftsmanship perfection and an eye for the extraordinary, which comes together from the creative play with colours and shapes. For the florist, flowers are nature's most beautiful language. Each piece is a valuable unique piece and a temporary piece of jewellery for valuable people.